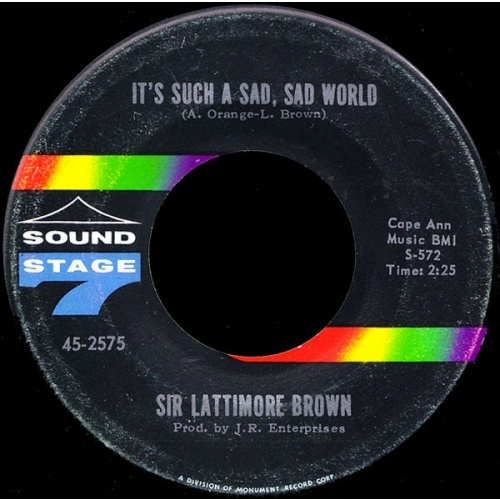 If you haven’t been following the superb series of posts about the soul singer Lattimore Brown at music blog the B side, now would be a good chance to catch up. It starts with the chance discovery that Brown is not as dead as had been thought, and takes a road trip with him while telling the story of his career, and providing some fine music along the way. As you’ll read, Brown, who was living in New Orleans when Katrina hit and had a pretty awful time of it, has been screwed over again by Hurricane Gustav, so if you enjoy the music you might want to show your appreciation with actual money (via link 7 above).